If you’re in the mood for a great laugh then you’re in the right spot ’cause today I’ll show you a funny auto way to advertise in a somewhat car joke, a second hand car which withstood the test of time, a 1996 Nissan Maxima GLE Sport Sedan. So this 1996 Nissan Maxima appeared in a Craigslist car ad but it was different and special because the car owner had a great sense of humor and he made a car commercial like video to sell it! 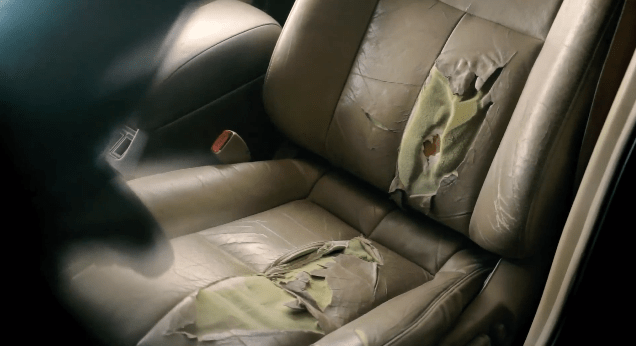 This funny video for that Nissan rust bucket had a positive effect in this controversial auto world, the youtube video gaining almost 1.5 million views; How’s that for action and reaction with the help of some simple care of cars? The 1996 Nissan Maxima was in a truly awful shape and even the best auto detailing couldn’t help it a lot but you know what?? After this car commercial which had a huge success on Craigslist, the actual Nissan car company bought it from the owner and the acquisition cost or price tag was 1.400 dollars but if you took this Nissan Maxima to a car shop all the repair bills would’ve been double the car’s price, anyway this is some kind of good customer service if Nissan buys back its old cars :D.
The thing with this old Nissan Maxima youtube hit is that the guy had great video editing skills and he is quite the creative genius; This is how you sell a cheap car with a destroyed car interior, a hardly working car engine; It also went through a couple of fender benders as you can see from that strap which holds the front bumper in place 😀 . Next articleDubai’s police supercars, a cocky show of police force! Can they scare the car racing phenomenon away?